The Confederate Flag but He Responds With Not So Positive Comment !!! 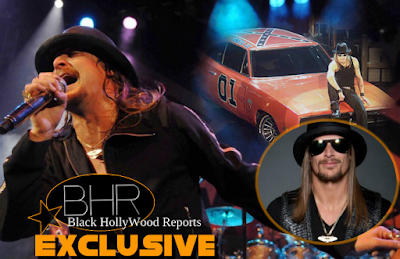 Star Apparently, former rap-Kid Rock has frequently used the Confederate flag as the backdrop to his performances, but following the Charleston church shootings last month, protesters are asking the musician to terminate his association with the flag. protest outside of the Detroit Historical Museum, which currently has “The Kid Rock Music Lab” collection on display, because of the singer’s use of the flag. Rock responded via conservative champion Fox News with a message as clear as day. 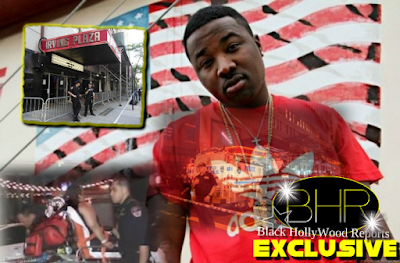 “Please tell the people who are protesting to kiss my a–,” Rock said flatly. 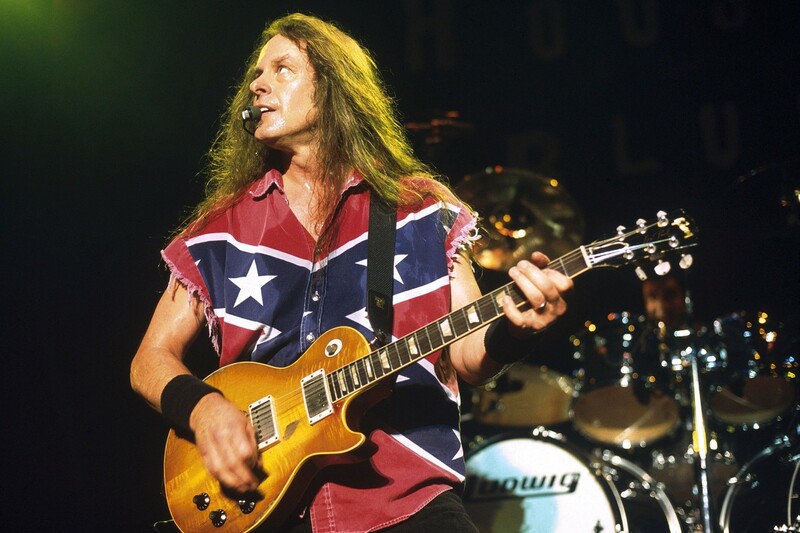 their love for the Confederate flag. Thus far, unlike the Bill Cosby backlash where people are dropping ties with the embattled comedic icon left and right, there are some like the Historic Museum, who aren’t ready to completely distance themselves from the controversial artist just yet. 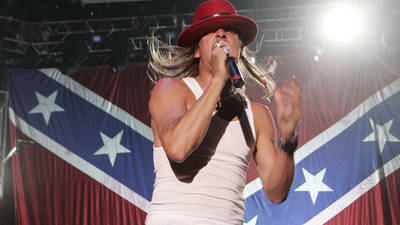 ”The Kid Rock Music Lab is one of 10 permanent exhibitions at the Detroit Historical Museum,” the museum told Reports. 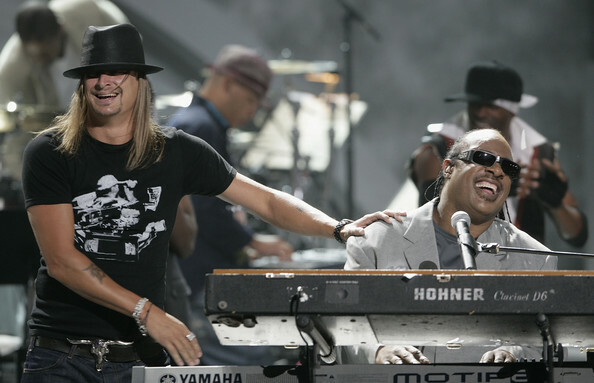 “Kid Rock’s contribution to Detroit’s music history is significant and warrants his inclusion along with other key figures like Stevie Wonder, Bob Seger, Aretha Franklin and Eminem.